Windsurfing is one of the most popular water sports, which has been associated with various injuries [1,2]. Although it is considered a demanding and extreme sport, no reports exist on related serious pelvic injuries. The present case is the first one of arterial pseudoaneurysm formation in a pelvic artery during sport activities and the most serious windsurfing pelvic injury reported to date. A 60-year-old British male weekend athlete with a moderate experience on windsurfing and a free past medical history, sustained a blunt pelvic trauma at a sea of an Aegean island which he was not familiar with. During an attempt for power jibe maneuver, the surfer jumped and landed with the board between his legs. At his first presentation in a primary care unit with severe pelvic pain, 1 hour after the incidence, the patient was haemodynamically stable (haemoglobin 13 mg/dL). A computed tomography (CT) scan showed a hyperdense hematoma at the prevesical and presacral space without evidence of active contrast extravasation (Figure 1A). The patient was transferred 48 hours later at a secondary health care unit where a second CT did not show any active contrast extravasation. Enlargement of the pelvic hematoma was depicted (Figure 1B). Figure 1: Computed tomography (CT) study following injury. A)The initial contrast enhanced CT (23/9/2013)) performed two hours after injury in a small district hospital, shows hematoma formation in the presacral (open arrows) and prevesical space (arrows). A follow up contrast enhanced CT in a central district hospital (25/9/2013), showed enlarged hematoma (arrowheads in B) and pubic symphysis diastasis (arrow in C). Due to the symphysis pubis diastasis (Figure 2), external fixation of the pelvis was performed, in an attempt to cease bleeding. Despite the fact that the patient remained haemodynamically stable, the patient’s haemoglobin values continued to decline. He was transported on an emergency basis to the nearest trauma centre, where a final CT scan (Figure 1C) and conventional angiography were performed (Figure 3A). The final diagnosis was traumatic pseudoaneurysm of the left internal pudental artery. 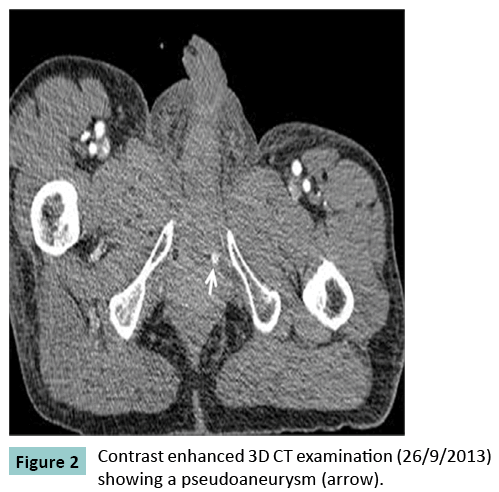 Figure 2: Contrast enhanced 3D CT examination (26/9/2013) showing a pseudoaneurysm (arrow). 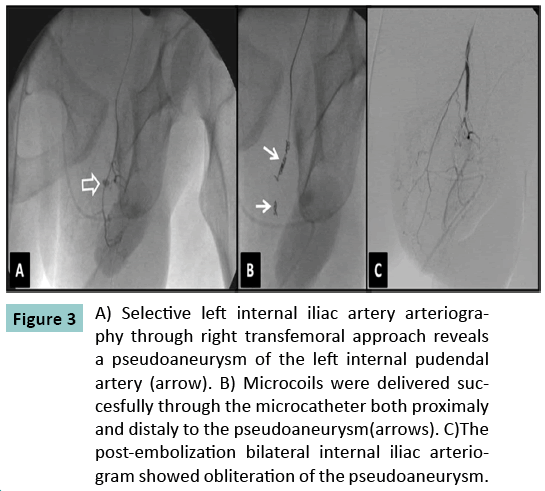 Figure 3: A) Selective left internal iliac artery arteriography through right transfemoral approach reveals a pseudoaneurysm of the left internal pudendal artery (arrow). B) Microcoils were delivered succesfully through the microcatheter both proximaly and distaly to the pseudoaneurysm(arrows). C)The post-embolization bilateral internal iliac arteriogram showed obliteration of the pseudoaneurysm. The pathophysiology of pseudoaneurysm development includes arterial wall discontinuity secondary to inflammation, trauma, or iatrogenic causes such as surgical or percutaneous procedure. In our case it is unlikely that the patient-with a free past medical history- had a preexisting pseudoaneurysm due to rare pathology (i.e neurofibromatosis). The most likely mechanism is that his normal left internal pudendal artery was injured during landing on the board and a pseudoaneurysm was formed. However, the rare case of a congenital pseudoaneurysm cannot be excluded. Interestingly, imaging findings in pelvic arterial bleeding are described in the existing literature as either contrast extravasation or pelvic hematoma, without specific reference to pseudoaneurysm formation. In our case it was clear from both CT (Figure 2) and DSA images that the arterial leakage was not amorphous but rather contained by the pressure of surrounding tissues in the form of a pseudoaneurysm. This may be a possible explanation to our patient’s haemodynamic stability and to the delayed reduction of hemoglobin values . The lesion was not depicted in the first two CT examinations, either because the pseudoaneurysm was not formed yet or because the technique was poor with lack of thin slices and proper timing of scanning delay. Severe intrapelvic bleeding secondary to pelvic injuries, is a potentially lethal complication, requiring immediate intervention. The gold standard for the diagnosis is conventional arteriography enabling real time evaluation of the circulation and visualization of the collateral circuits which play an important role after arterial embolization or ligation . In our case, angiographic confirmation of a pseudoaneurysm of the left internal pudendal artery, prompted us to immediate endovascular treatment to prevent a massive pelvic bleeding. Transcatheter embolization (TCE) is regarded as an effective alternative to open surgical repair yielding a rate of efficacy from 81% to 100%  and a significantly lower complication rate . In addition, TCE has been used in the past for the treatment of internal pudendal pseudoaneurysm of non-traumatic origin. Thus in our case, TCE was employed as the treatment method and a 2.4-F microcatheter (Progreat, TERUMO Tokyo, Japan) was navigated coaxially through a 5-F Cobra catheter (Cordis) into the left internal pudendal artery. Then embolization was successfully performed with four 4x18mm microcoils (Complex Helical, Boston Sc) delivered both proximally and distally to the pseudoaneurysm (Figure 3 B,C) Windsurfing is a popular, yet demanding water sport, which could be rarely associated with serious injuries. In our case, TCE was effective in controlling hemorrhage and treating an unusual traumatic internal pudendal pseudoaneurysm with high risk of rupture and massive perineal bleeding. Kalogeromitros A, Tsangaris H, Bilalis D, et al. (2002) Severe accidents due to windsurfing in the Aegean Sea. Eur J Emerg Med. 9:149–54. Nathanson AT, Reinert SE. (1999) Windsurfing injuries? : results of a paper- and internet- based survey. Wilderness Env. Med.10:218–225. Saad NEA, Saad WEA, Davies MG, et al. (2005) Pseudoaneurysms and the role of minimally invasive techniques in their management.Radiographics.25:173–189. Papakostidis C, Kanakaris N, Dimitriou R, et al. 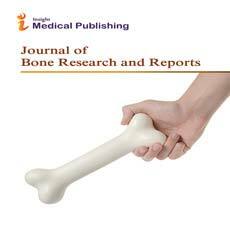 (2012) The role of arterial embolization in controlling pelvic fracture haemorrhage: a systematic review of the literature. Eur. J. Radiol. 81:897–904.
. Zhang C-W, Yang Z-G, Xie X-D, et al. (2010) Transcatheter embolization of a ruptured internal pudendal artery pseudoaneurysm in a patient with neurofibromatosis type 1. J Korean Med Sci. 25 :638–40.